Not long ago, a dog crapped all over the cabin of a US Airways plane, and the methane emitted from 400 cows resulted in emergency landing of a plane in London. But noxious gases weren't the cause of an emergency landing Sunday night — rather, it was plain old oxygen filling up the evacuation slide on a United Airlines flight that did the trick. 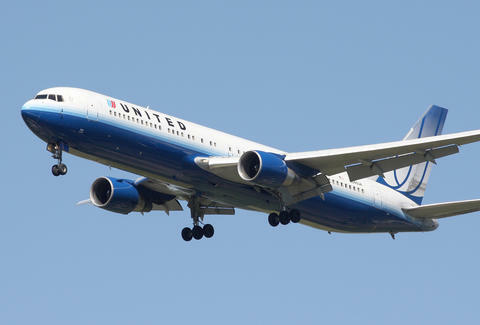 According to the Associated Press, the emergency chute on United flight 1463 inflated mid-air on its way to Santa Ana, California from Chicago, which resulted in the plane's diversion to Mid-Continent Airport in Wichita, Kansas. Mike Schroeder, a frequent flier and passenger aboard the plane — which was carrying 96 passengers, and five cabin crew — reported hearing "a hiss and a pop" before he "saw the slide starting to expand". A spokesperson for the Federal Aviation Administration confirmed the slide "inadvertently deployed" mid-flight. The slide's reported to have said, "I swear, this has never happened before"! The aircraft subsequently touched down in Kansas shortly after 10:30pm, where it underwent a maintenance investigation. “No one was injured and the flight landed safely,” United Airlines said in a statement. Passengers, who were all seated when the slide inflated, were reportedly evacuated from the plane an hour after landing. John Nance, a retired pilot, told ABC News: "This is a very, very rare instance to have an emergency slide deploy inside the airplane, especially if it was spontaneous". And as CBS News points out, owing to a decrease in cabin pressure, the plane allegedly dipped from 38,000 feet to just 11,000 feet in only 12 minutes. Talk about a game of chutes and ladders nobody wants to play.